Incidentally, for the first time that I can remember, I'm actually excited about the Olympics. It has not much to do with the Games themselves, but everything to do with the host city and country. 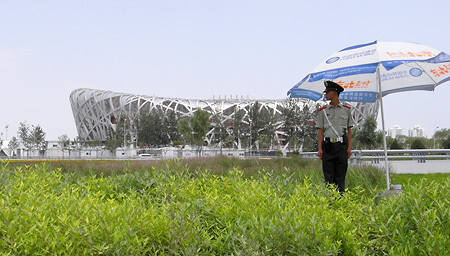 All the controversies surrounding this Olympics (the pollution, the media censorship, the crackdown in Tibet, the support of the Sudanese goverment) and the herculean effort the Chinese have made in successfully building a new Beijing that just screams money and power everywhere you look, have made the Olympics interesting again.